• Both schools are poorly resourced, situated in “quartiers sensibles” (minority neighborhoods in crisis). • Both teachers do problematic things to complicate the situation in reaction to their students acting out. • The students are for the most part either Beur (second-generation) or immigrants from North and Sub-Saharan Africa. • The students primarily speak in contemporary slang with a liberal dose of vulgarity as a matter of course. • Both films presume a certain understanding of French Republican values (particularly mixité, the idea that all people should present an anonymous sameness in the public sphere in order to level social difference, and laïcité, or the secular public state). This, however, is where the similarities end. The Class won the Palme d’Or at Cannes in 2008; Skirt Day, meanwhile, was a made-for-TV melodrama that made a small splash on the screen. 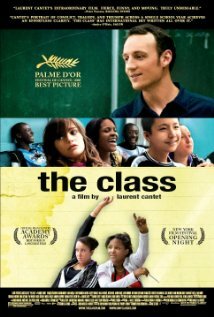 The Class stars an actual junior high French teacher (François Bégadeau as the thoughtful and affable M. Marin; Bégadeau wrote the autobiographical novel on which the film was based) and actual students (one of whom, Esmeralda, I had the pleasure of tutoring at the Association de Culture Berbère a few years before the film was made). Skirt Day, meanwhile, stars legendary actress Isabelle Adjani as the trembly and unhinged lit prof Mme. Bergerac. 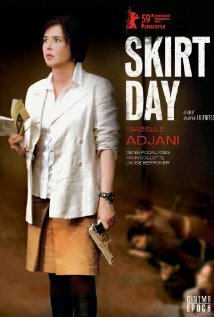 The Class is a quiet and nuanced story; Skirt Day is highly dramatic and polarizing, both violent and sentimental. So as I was putting together viewing guides for my classes, I found myself thinking about how I was going to introduce the films. The Class would be fairly easy. “Show, don’t tell” serves as Cantet’s cinematic mantra, so you don’t need much understanding of contemporary France to get the point that these kids and their families live on the margins of French society, and pedagogical and disciplinary measures that seem obvious in more privileged communities can have far more serious and reaching consequences for these students. Skirt Day, however, walks an odd line: it simultaneously spells out (through dialogue, costume, and dramatic reactions) exactly why a skirt can be seen as inflammatory in this school’s (and by extension, in the contemporary French) context, and yet presumes lived experience of French society and Republican values (as a tele-film likely would). The major turn in the denouement comes through information that was previously withheld about Adjani’s character. It’s not entirely fair play, and the “telling” is at moments mawkishly heavy-handed. But for all its flaws, for American students of French language, literature, and culture, I’m thinking that Skirt Day will serve an important purpose. In some ways, the story mirrors the narrative to the French bans on headscarves and veils. It is unsparing in its depiction of sexual violence, one of the major concerns of activists for immigrant women since the rash of gang rapes in the 1990s that took places in suburban French communities following an influx of self-styled imams who professed fundamentalist forms of Islam. 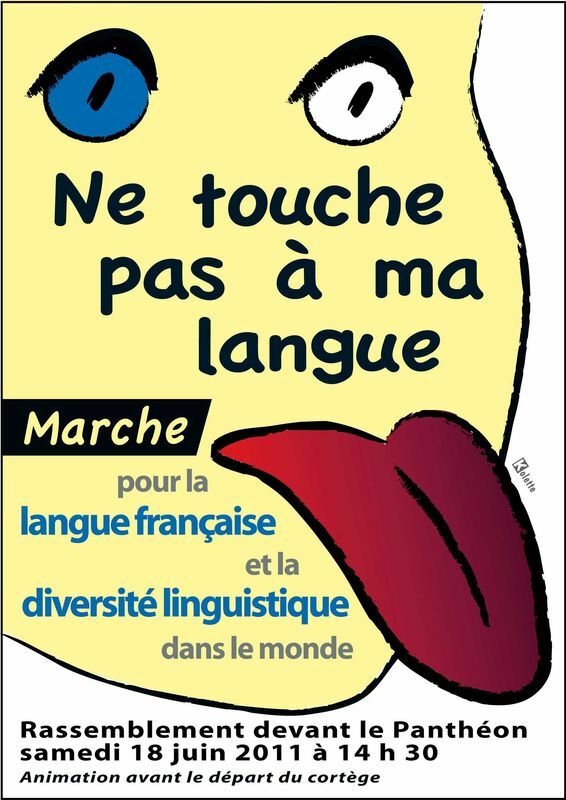 The gaps in the narrative that emerge due to the explicit explanations that presume shared knowledge of French society can help students see their own gaps in knowledge. So I’ve realized that while The Class can be presented as both a work of art and as a cultural document, Skirt Day may, in fact, do more work to help non-native students of French understand some of the stakes – or at least, suggest how much more there is to know—and experience—before we can understand. The idea of who we are inside (back story, family heritage, and the presumed limits of our world and capabilities) vs. who the world sees outside is a driving theme for both films. And delving into the worlds of others: I’ve said this elsewhere, and others have said it better, but this is what the humanities is all about, right? Thanks to M. Lynx Qualey at Arabic Literature (in English), I woke up this morning to the announcement that Mazen Kerbaj’s new graphic novel is now available. Very much looking forward to getting my hands on this one – if I’m not mistaken (and someone please correct me if I am), it’s his first longer work in French. 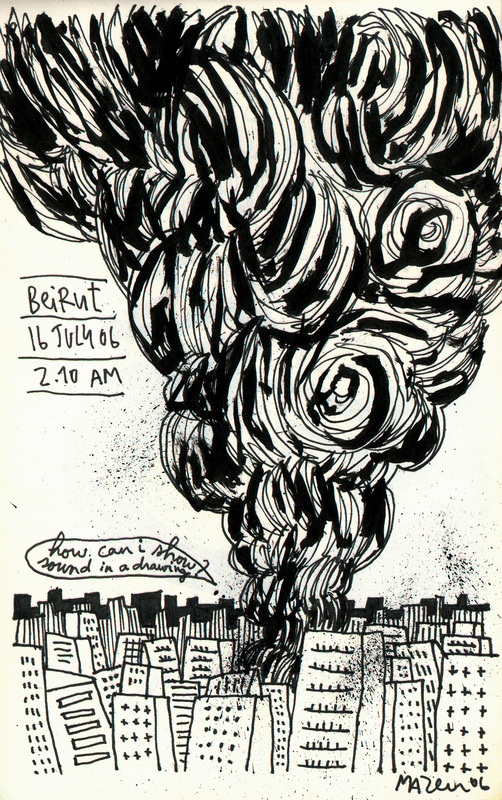 On the night of July 15-16, 2006, Lebanese avant jazz trumpeter and visual artist Mazen Kerbaj set up his recording equipment on the balcony of his Beirut apartment. Once the mics were set up and he had checked sound levels, he hit record. He then improvised on his trumpet to the sight and sounds of bombs falling from Israeli fighter jets. Over the thirty-three days of the 2006 Israeli War, Kerbaj recorded over nine hours of improvisation with the bombs. On July 16, 2006, however, an unedited excerpt from these improvisations of Kerbaj’s first night on the balcony appeared in the sidebar of his blog. Entitled “Starry Night,” this minimalistic improvised piece has remained available on the blog sidebar ever since. “Starry Night” was one of Kerbaj’s first responses to the Israeli War. The image that Kerbaj posted on his blog the day he posted the piece speaks, perhaps, to one of his aims for the musical piece: finding no clear and urgent means of expression through the visual, he turned to the musical. 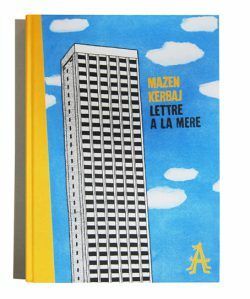 “A love/hate letter to Beirut: Mazen Kerbaj publishes his latest collection” on NOW. Email correspondence with Kerbaj, 28 May 2007.